Tuning a piano can be time consuming and expensive. Here I’ll go over every aspect of how to tune a piano so you don’t have to worry. Anyone who has owned a piano knows that keeping your piano tuned can be quite an expensive prospect. Hiring professional tuners, taking time off work or making time in your schedule for the tuner to come to your house and spend a few hours tuning your piano, and then doing this again every 6 to 12 months, can take a big bite out of your wallet. What’s the point of piano tuning, anyway, you might ask? 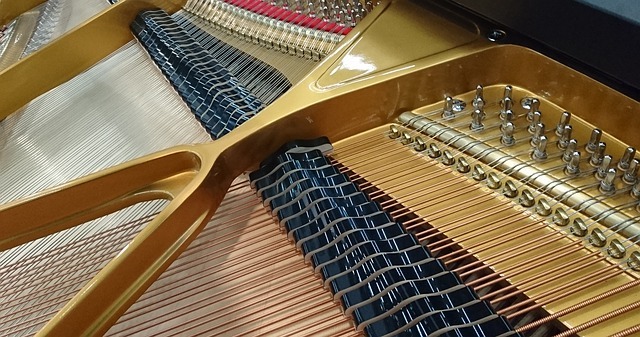 Why does your piano need tuned? A properly tuned piano has each string’s tension adjusted until it vibrates at the correct rate. The tuning standard for a piano is known as A440. This indicates that the A note just above the middle C note vibrates at 440 cycles each second. Every other string is then tuned accordingly. Acoustic pianos will naturally go out of tune due to the way they are made. The wood soundboard in the piano fluctuates with the weather and humidity during seasonal changes and as conditions in the area in which it is located change. Proper placing of the piano: If you situate your piano in the room away from heat sources, drafts and direct sunlight, and keep the room the piano is in at a constant 70 degrees during the winter, this can help prevent the piano from going out of tune quickly. 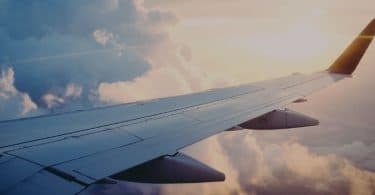 Using a room humidifier during the winter and a dehumidifier during humid summers can also help. Humidity control systems: Additionally, you can have a specially designed humidity control system installed inside your piano. This will help to keep the soundboard from swelling and shrinking time and again due to humidity. One of the most highly recommended humidity control systems is manufactured by Piano Life Saver System, and consists of a humidifier, dehumidifier, watering tube, humidistat and LED panel. It costs between $400 and $500 and must be professionally installed by a trained technician (search for one here). Many piano owners say that it is worth the price as it can help prolong the quality of sound in your piano between tunings. 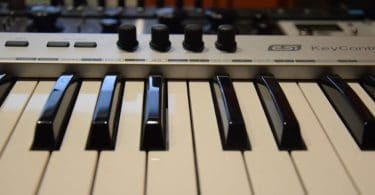 An important side note – if you own an electric or digital piano, it never needs tuned. It might need serviced by an electronic technician from time to time but has no strings to be tuned. This is something to consider when you are shopping for pianos. So, how often do you need to tune a piano? New pianos should be tuned every three months, as it is a known fact that new piano strings will stretch and wood will settle in the first year, causing a drop in pitch. After that, it is recommended to have your piano tuned every six months. (If you have a humidity control system installed inside your piano, you might be able to get away with once-a-year tuning). There are special situations in which a piano will need tuned more often. Pianos that are moved from one location to another need more frequent tunings (usually a month or so after a piano is settled into a new home, it should be tuned). Pianos that are used for recording or performance may need to be tuned before each usage. Even without a highly trained ear, you should be able to easily tell if your piano is out of tune. This video demonstrates the difference in a piano’s sound before and after it is tuned. The difference is remarkable! The length of time that it takes to tune a piano can vary greatly, due to the piano’s age and the conditions in which it lives. A routine piano tuning should take from one to two hours to complete. If the piano is found to be way out of tune and needs a pitch correction, however, a piano tuning can take from two to four hours. So be sure to set aside enough time when you schedule a piano tuning! The cost to tune a piano also varies, depending upon the part of the country in which you live and the age and condition of your piano. According to Bankrate.com, most piano tuners charge by the hour. Prices vary from $65 to $225. Remember that the cost of a piano tuning can increase if your piano is found to need repairs or multiple tuning sessions. Most piano experts agree that the best way to have your piano tuned is to hire a Registered Piano Technician to do it. These technicians are highly trained and must pass examinations on hands-on tuning and technical piano skills before they can be registered by the Piano Technicians Guild. You can find a Registered Piano Technician here. The best part about having an RPT tune your piano is that if something is found to be wrong with or needs repaired on the piano, they are qualified to do so. This is important in prolonging the life of your piano. Of course, there is no law stating that you must have your piano tuned by a Registered Piano Technician. If there are no RPTs in your area, you can always Google “piano tuners” in your area to find someone. I wouldn’t just pluck a name out of thin air, however, if you’re going to do this. Just like you would do with any professional, look for a piano tuner who has references and/or good reviews from customers. Can You Tune a Piano on Your Own? With all of the cost and time that it takes to tune a piano, you might wonder, can I tune a piano on my own? Because a piano is a complex instrument and piano tuners go through much technical training to learn tuning skills, tuning a piano on your own is not recommended. If you are determined to do it yourself, make sure to buy the proper equipment, including a tuning wrench with a hexagonal head, a felt strip, and rubber wedges. Remember that there are more than 220 strings on a piano, and each string needs to be tuned properly, so you must be slow, methodical and patient if you attempt to do this yourself. If you decide to go about it yourself they sell some piano tuning kits (like this one on Amazon) that can be a huge help. Although I don’t recommend tuning your own piano, you should study many online videos such as this one before trying to do it yourself. There are also online courses in tuning a piano. If you think you might want to become a Registered Piano Technician, the Piano Technician Academy has an online course in Piano Tuning and Repair that won’t give you RPT status but will prepare you to take the RPT exams. Your piano is an intricately designed, wonderful instrument, and like any instrument of this type, it requires special care by trained professionals. Think of other expensive pieces of technology you own, such as your computer, audio system, and television. You wouldn’t want just anyone (or yourself) working on those valuable possessions, would you? Piano tuning is simply one of the things that must be done to maintain your piano at its optimal pitch and to ensure that your piano has a long and happy life.